Hetum I was the founder of the Hetumian dynasty (1226-1342), the second in the history of the Armenian kingdom of Cilicia. He excelled as a seasoned diplomat who achieved crucial results both in internal and foreign policy. Hetum was born in 1215, the son of Prince Constantine of Baberon, who had a leading position among the Armenian princes of Cilicia and became regent in 1219, shortly after the death of King Levon I, due to the minority of his daughter Zabel (1216-1252), who was three-years-old. In order to end the rivalry between Cilicia and the principality of Antioch (Syria), Constantine arranged for the marriage of Zabel to Philip, a son of Bohemond IV of Antioch, in 1222. However, Philip’s disdain for Armenian ritual and his favoritism for Latin noblemen alienated the Armenian nobility. After a revolt headed by Constantine in late 1224, Philip was imprisoned and deprived of the throne with the agreement of the council of Armenian princes. He died in prison. Constantine moved forward and, despite the opposition of ten-year-old Zabel, he married her to his son Hetum, who was proclaimed king on June 14, 1226. In this way, the two most powerful families of Cilicia, the Rubinians (the royal dynasty) and the princes of Lambron, established an alliance. Hetum I ascended to the throne in a difficult international conjuncture. He confronted Antioch on one hand, where he established a protectorate of sorts after the death of Bohemond IV. On the other hand, he had to face the power of the Sultanate of Rum, ruled by a Seljuq Turkish dynasty, but was able to come to terms with it. Over the years, Hetum I was able to overcome the internal dissensions and offer a united front to external pressure. At the same time, he centralized the monarchy and strengthened the army, while economic life and culture flourished. In the 1240s a new and dangerous player appeared in the international scene, the Mongols. After occupying Persia and Armenia, the Mongols entered the Middle East and reached the borders of Cilicia by 1243. Instead of confrontation, Hetum chose to sign a treaty of peace and mutual cooperation with the Mongols. He first sent his brother, the Constable Smpad, in a diplomatic mission to Karakorum, the capital of the Mongol Empire, in 1248. Afterwards, the king himself made the hard and long journey to Central Asia and visited Karakorum in 1254, signing a new treaty of alliance with emperor Mangu Khan. This treaty established, among other conditions, friendship between Christians and Mongols, who were still pagan at the time; tax exemption for the Armenian Church; the liberation of Jerusalem; the destruction of the caliphate of Baghdad; assistance to Cilicia by all Mongol commanders; devolution to Cilicia of Armenian territories occupied by the Muslims. This diplomatic success, at a time when the Mongols were confronted by all forces from China to Eastern Europe, strengthened the position of Cilicia. Thanks to the Armeno-Mongol alliance, between 1256-1259 Hetum I was able to stop the attacks of the emirate of Aleppo and the invasions of the Sultanates of Rum and Egypt. He also liberated several cities, like Marash and Aintab, and annexed the southern portion of Cappadocia, as well as part of northern Syria to his kingdom. 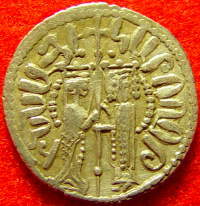 The Sultanate of Egypt took advantage of the divisions among the Mongols and invaded Cilicia in 1266, taking Hetum’s son and heir apparent Levon as prisoner. The invasion devastated some parts of the country. In June 1268 Hetum signed peace with Egypt by the cession of several border fortresses and was able to free his son. A year later, he resigned and Levon II was crowned king. Hetum retired to the monastery of Akner, where he became a monk with the name of Magar, and passed away on October 28, 1270. As a result of the Russo-Turkish war of 1877-1878, the regions of Kars, Ardahan, Artvin, and Batum, at the time in the Ottoman Empire, went to Russia. The next conflict between Russia and the Ottoman Empire was during World War I. The Caucasian expedition of Enver Pasha in late 1914-1915 was soundly defeated in the battle of Sarikamish. Enver covered his defeat by accusing the Armenians of treason. As a result, the Armenian soldiers in the Ottoman Empire were disarmed and killed en masse, and the subsequent massacres and deportation of Armenians would soon turn into genocide. The Russian forces occupied an important section of Western Armenia (Van, Erzerum, Bitlis and Mush, Trebizond, and Erzinga) in 1915-1916. After the October Revolution, the Russian forces abandoned the front. The Armenian battalions formed in a hurry were insufficient to stop the Ottoman advance and the territories of Western Armenia were lost between February and April 1918. The Treaty of Brest Litovsk (March 3, 1918) between Soviet Russia and the Ottoman Empire recognized the transfer of Kars, Ardahan, and Batum to the latter. After the armistice of Mudros (October 30, 1918), the Republic of Armenia established its sovereignty over most of the region of Kars, and the Treaty of Sevres recognized the region of Kars and most of Western Armenia as part of Armenia (August 1920). However, as a result of the Armeno-Turkish war of September-November 1920, the region of Kars and Alexandropol (nowadays Gumri) was occupied by the Turkish forces, which threatened once again the existence of Armenia. The invasion of the XI Red Army on November 29 forced the government of the Republic of Armenia to transfer the authority to the Communists on December 2, which turned the country into a Soviet republic. Meanwhile, the representatives of the Republic signed the Treaty of Alexandropol with the Turks on the night of December 2 to 3. This treaty recognized the occupation of the region of Kars by Turkey. However, its legal validity was dubious, because it had been signed on behalf of a government that was already out of office. The next step was the signature of the Treaty of Moscow between Kemalist Turkey and Soviet Russia on March 16, 1921. Turkey received the region of Kars, and the southern portion of the region of Batum. Probably as a compensation for the north of the region of Batum, the Bolsheviks transferred the Armenian province of Surmalu to the Turks. At the time, the February rebellion had expelled the Communist government from Armenia, while Georgia was still an independent republic. After Armenia and Georgia were finally occupied by the Red Army, the signature of the Treaty of Kars was meant to confirm the terms of the Treaty of Moscow by the representatives of Armenia, Georgia, and Azerbaijan. 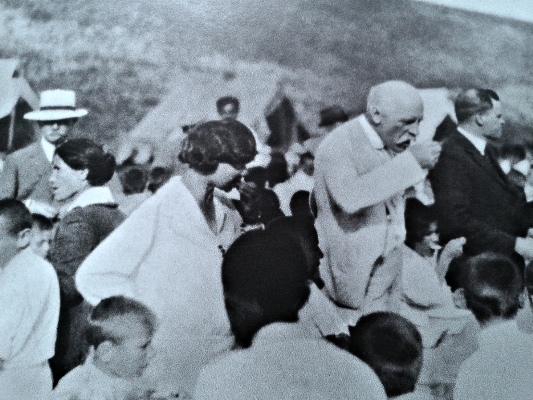 The treaty was signed on October 13, 1921, and ratified in Yerevan on September 11, 1922. Signatories included four Turkish representatives, Russian ambassador Yakov Ganetsky, and two representatives from Armenia, Azerbaijan, and Georgia. Minister of Foreign Affairs Askanaz Mravian and Minister of Interior Poghos Makintsian signed it on behalf of Armenia. The treaty confirmed the division of the region of Batum, with the north ceded by Turkey to Georgia and the south, with the city of Artvin, annexed by Turkey, which was also guaranteed free transit through the port of Batum. It also created a new boundary between Turkey and Armenia, defined by the Akhurian and Arax rivers. Turkey annexed most of the region of Kars, including Surmalu, with Mount Ararat and the cities of Igdir and Koghb, the cities of Kars, Ardahan, and Olti, and the ruins of Ani. The region of Nakhichevan became an autonomous territory under the protection of Azerbaijan, which was turned into the Autonomous Soviet Socialist Republic of Nakhichevan in 1924, as an exclave subordinate to Soviet Azerbaijan and sharing a fifteen kilometer boundary with Turkey. 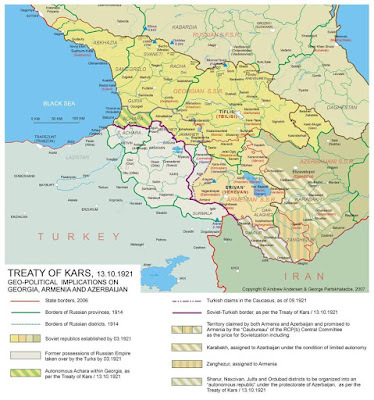 The Soviet Union attempted to annul the Treaty of Kars and regain the lost territories of Kars, Ardahan, and Artvin after World War II on behalf of Armenia and Georgia. However, British Prime Minister Winston Churchill objected to those territorial claims, and in 1947 the Soviet Union gave up its claims from Turkey. The validity of the Treaty of Kars has been questioned on the basis that the sides that signed it did not have authority. The Turkish Grand National Assembly, which was represented by the Turkish signatories, had no authority to sign international treaties, which still rested with the legal ruler of the Ottoman Empire, the Sultan, as established by its Constitution. The Republic of Turkey was proclaimed in 1923. On the other hand, the Soviet republics were under strict control of Moscow and the Soviet Union was established in December 1922. 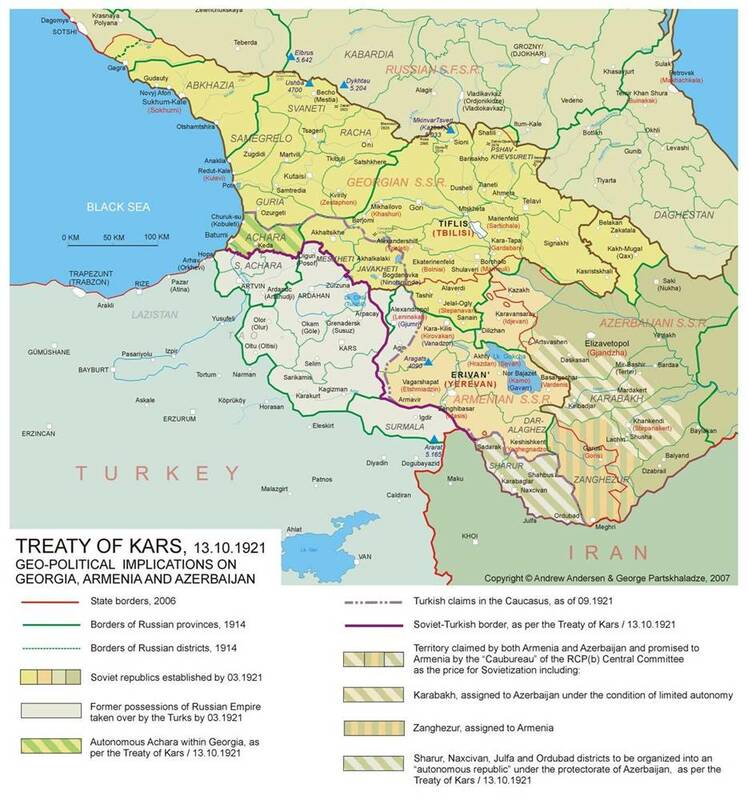 After the dissolution of the Soviet Union in 1991, the Treaty of Kars was accepted by Turkey, Georgia, and Azerbaijan. However, the government of Armenia has made no such ratification. The Russian vision of reaching the “hot waters” of the Mediterranean Sea, formulated during the reign of Peter the Great (1689-1725), achieved its initial objective in the period from 1804-1828, when the region known as Transcaucasia (now called South Caucasus) was conquered from Persia and incorporated with the Russian Empire. This included, indeed, Eastern Armenia. The treaty of Gulistan (1813) incorporated the region of Gharabagh to Russia. The rest of Eastern Armenia was conquered during the Russo-Persian war of 1826-1828. With British financial support, Persian crown prince Abbas Mirza launched the hostilities without previous declaration of war in July 1826. After Persian initial success, Czar Nicholas I (1825-1855) sent General Ivan Paskevich (1782-1856), who had distinguished himself in 1807-1814 during campaigns against Turkey and France, as second in command. He took the chief command in early 1827 and the Russian troops started advancing in territory of the Khanate of Yerevan. In April 1827 the monastery of Holy Etchmiadzin was occupied without resistance, and Yerevan was first besieged from April to June. Paskevich joined Russian general A. I. Krasovky in June and occupied Nakhichevan. However, Krasovky was forced to raise the siege due to the condition of his troops. He left one regiment at Etchmiadzin and retired further north. Abbas Mirza attempted a counterattack, planning to take Etchmiadzin and Gyumri, plunder Tiflis and return to Tabriz via Gharabagh. Krasovsky was forced to return south in August to relieve the garrison of Etchmiadzin. Despite the inferiority of troops (2300 Russians against 30000 Persians), the Russians were able to cut their way through at the battle of Oshagan, losing half of their number. They relieved Etchmiadzin, while the Persians withdrew south with a loss of just 400 men. Paskevich returned to Etchmiadzin in early September. He moved east and, after capturing Sardarabad, he appeared before the walls of Yerevan on September 23. The fortress was located on a rocky shore of the Hrazdan River, and had double walls and a moat. After shelling the fortress, the Russian command suggested Persians to capitulate. 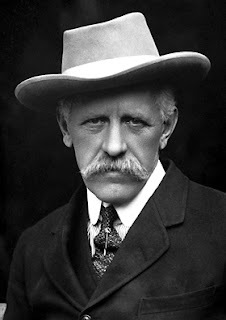 The garrison and residents asked Hasan Khan to surrender, but the khan turned down the suggestion of capitulation, hoping to resist until the arrival of the Persian army. After a week of siege, disorder broke out in Yerevan on the morning of October 1. The Armenian population of the city forcefully demanded that Hasan surrender the city. Armenian and Persian citizens took up arms and occupied the already destroyed part of the eastern wall. The Persian garrison refused to fight and Russian troops entered Yerevan. Hasan Khan and his army laid down their arms in front of the Russian before the main mosque. Four thousand prisoners were taken. After this victory, advancing Russian troops crossed the Arax River and entered Persian Azerbaijan, seizing its capital Tabriz. Paskevich arrived later with the main Russian forces. Persia sued for peace, but the negotiations dragged on due to the beginning of the Russo-Turkish war of 1828-1829. However, the Russian occupation of Ardabil and Urmia forced Fath-Ali Shah to accept all peace conditions, according to the Treaty of Turkmenchay (February 10, 1828). 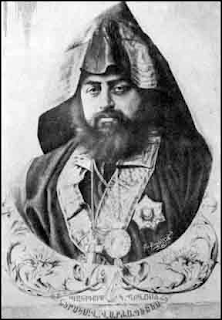 For the victory in the Russo-Persian war, Paskevich was awarded the St. George Order of the 2nd class and the title of Count of Yerevan. He also received a million rubles and a diamond-mounted sword. The khanates of Yerevan and Nakhichevan went to the Russian Empire, and Yerevan became the capital of the newly-created Armenian Province until 1840. 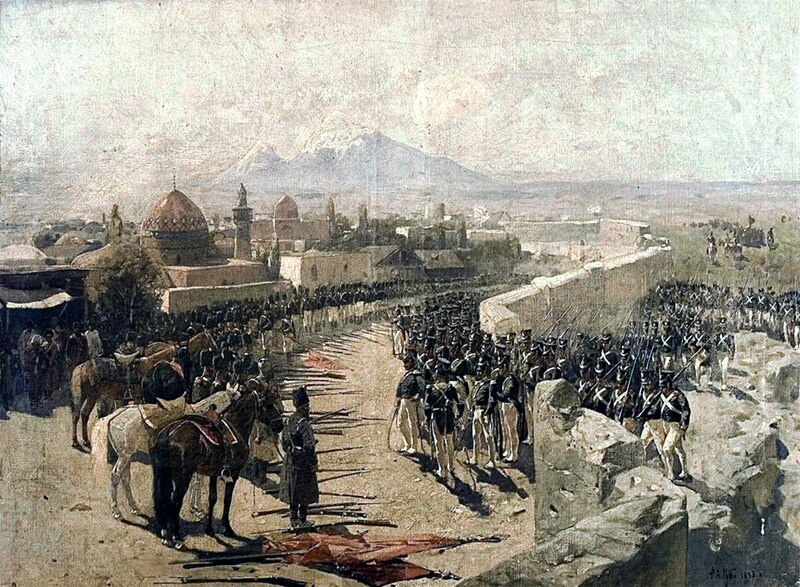 After short-lived administrative changes, the Yerevan Governorate would be created in 1849, again with Yerevan as capital of a territory that included both Persian khanates.